Paperback, 6 x 8.5 in. / 184 pgs. 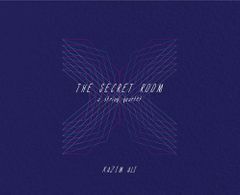 Kazim Ali’s wildly inventive novel The Secret Room asks: how does one create a life of meaning in the face of loneliness and alienation from one’s own family, culture or even sense of self? In the space of a single day, the lives of four people converge and diverge in ways they themselves may not even measure. Sonia Chang, a violinist, prepares for a concert. Rizwan Syed, a yoga teacher, makes one last panicked attempt at reconciliation with his family. Jody Merchant tries to balance a stressful work life with a dream she abandoned long ago. Pratap Patel trudges through his life trying to ignore the pain he still feels at old losses. The experiences of these four characters, woven together in the manner of a string quartet, together create a raw, fluid composition. Kazim Ali (born 1971) is an American poet, novelist, essayist and professor. Born in the UK to parents of Indian descent, and raised in Canada and the US, Ali is an assistant professor of Creative Writing at Oberlin College. He cofounded the independent press Nightboat Books. FELIX SALUT: SHUT UP, I AM COUNTING! By Paul Nougé, Paul Colinet, Louis Scutenaire. Edited with translation by M. Kasper. Introduction by Mary Ann Caws. By Jeff Dolven. Edited by Sina Najafi. Edited by Tony Nourmand, Michael Shulman. Essay by Jack Kerouac. By Robert Desnos. Translated by Natasha Lehrer. 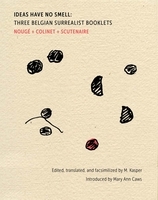 Introduction by Marie-Claire Dumas. By Juan Benet. Translation and introduction by Adrian Nathan West. Edited with text by Burkhardt Lindner. By Siegfried Kracauer. Translation and text by Carl Skoggard. By Marcel Proust. Translated by Jennie Feldman. 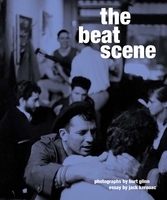 Afterword by Alain Madeleine-Perdrillat. 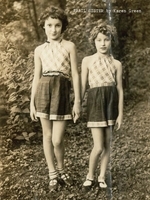 FORMAT: Pbk, 6 x 8.5 in. / 184 pgs.